MEMPHIS, TN — Memphis is making strides towards diversity and economic inclusion that should be noticed statewide, and particularly in Nashville. This is the main observation of Ashford Hughes, Office of Diversity, Equity and Inclusion office, Office of the Mayor. Hughes made a fact-finding trip last week to Memphis which included several discussions with West Tennessee colleagues and observers regarding the implementation and improved opportunities for MWBE’s (Minority and Women Business Enterprises). Memphis City Mayor Jim Strickland and his team were extremely hospitable. They opened City Hall’s doors, and provided specific insight into his agenda in this area. Mayor Strickland and Mayor Briley are taking positive leads in pushing both city government and private industry towards ensuring more participation and access for Minority Owned Businesses, and working to see they get a fair and equitable portion of available opportunities. 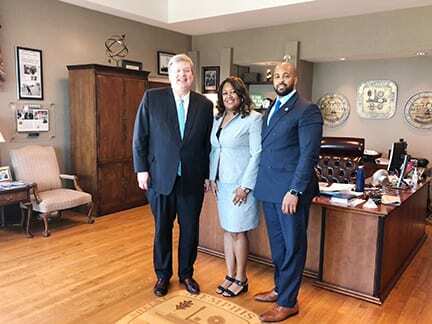 Memphis Chamber President/CEO Phil Trenary and his senior leaders also met with Hughes, and outlined proposals designed to improve economic inclusion from larger business angles including workforce development pipelines and quality living wages. There was indication and a willingness for Hughes to return for additional meetings and updates to determine how well the Memphis initiatives are progressing. The ground work prepared throughout the Memphis area is by Joann Massey, Director of Business Development and Contract Compliance. This effort sets the stage for the eventual reality of more wealthy Black, Brown and women business owners in Memphis, Nashville, and across West Tennessee. The Tribune will be closely watching to see whether both the Nashville and Memphis Mayor’s vision of progress and growth will result in more millionaire business people who are Black and Brown. 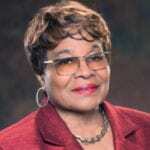 Right now the positive impact of the measures in Memphis is both specific and tangible. We have a new Mayor but we have confidence that he will make the programs are moving in the right direction. The key message Mayor Strickland emphasized was the necessity of staying focused despite whatever else may be happening, and that is what we urge Nashville to do: stay focused and provide real evidence of a major commitment to economic opportunity and inclusion and share this vision with the citizens. We believe the our Mayor is as committed as Mayor Strickland. The #WeMeanBusiness Too campaign reflects great strategy, policy, and process being constructed.